Kennards Hire is a family owned, tools and equipment hire company with branches stretching across New Zealand and Australia. 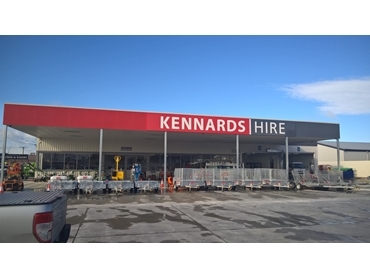 The newest branch is set to open in Hamilton, New Zealand on August 1st and represents Kennards Hire’s continued efforts to offer New Zealanders the best of the hire and rental industry. Catering to a vast range of industries as well as the DIY home improvement market, Kennards Hire’s Hamilton branch will boast a diverse range of tools and equipment suited to the materials handling, construction, civil and concreting industries to name a few. The Hamilton branch will focus on providing Kiwis with top shelf customer service, industry leading safety standards and an innovative and far reaching product stable to make every job easy. Tom Kimber, General Manager of Kennards Hire New Zealand views the Hamilton branch as an opportunity to connect with customers and industry members. He also identified Hamilton as a hub for both construction and agriculture, which was a key motivator in opening a new branch there. “The opening of the Hamilton branch is great opportunity to say thanks to New Zealand for supporting the growth of Kennards Hire in NZ since we launched the business here just a few years ago,” Tom explained. “We’ll mark the opening with a number of events for industry members as well our broader customer base on site at the new branch.” Tom concluded. The new branch will open in late July, and the occasion will be marked by Breakfast Made Easy; a free breakfast BBQ hosted by Rock 93FM! Staff will take those in attendance on a tour of the new branch and answer any questions guests may have.